Electronic learning (e-learning) is considered in a beginning stage in the developing nations such as Arab world especially in the field of higher education system. Jordan as one of the developing nation though appreciates the importance of universities and their role in achieving an economic prosperity through the growth of human resources; unfortunately, the adoption of e-learning is quite low among the students in the Jordanian universities. This study therefore, is concerned with the improvement of educational process through the adoption of e-learning tools among the students in the Jordanian higher education institutions. The main purpose of this study is to examine the potential prominent factors related to the adoption and usage of Information and Communication Technology (ICT) in the Jordanian public universities among the students. The main challenge of the study is to provide such an understanding on the e-learning usage by applying the Technology Acceptance Model (TAM), Diffusion of Innovation (DOI) theory, and Decomposed Theory of Planned Behaviour (DTPB). A self-administrated survey was conducted on 350 of students selected from public universities in Jordan. A total of 253 participants (72%) have responded, and series of data analyses of variables measurement for reliability and validity test of predictors were performed. The results of the analysis, however, contribute a new model which is considered as a novel model in such studies. The findings show that Attitude towards Technology (ATT), have positively affected the Behavioural Intention (BI) to use technologies in the higher educational system among students. Moreover, there is a significant relationship between students’ perception of technology characteristics and their ATT using the e-learning technologies in the higher education system. Ahmad, N., Tarmidi, M., Ridzwan, I., Hamid, M., and Roni, R. (2014). The Application of Unified Theory of Acceptance and Use of Technology (UTAUT) for Predicting the Usage of E-Zakat Online System. International Journal of Social Science Research, IJSR, 3(4), 63-67. Ajzen, I. (1991). The Theory of Planned Behavior. Organizational behavior and human decision processes, 50(2), 179-211. doi: 10.1016/0749-5978(91)90020-T.
Ajzen, I. (2002). Perceived Behavioural Control, Self -efficacy, Locus of Control, and the Theory of Planned Behaviour. Journal of Applied Social Psychology, 32(1) 1-20. Ajzen, I., and Fishbein, M. (1980). Understanding attitudes and predicting social behavior: Prentice-Hall. Englewood Cliffs. NY. Alenezi, A. R., Abdul Karim, A. M., and Veloo, A. (2010). An empirical investigation into the role of enjoyment, computer anxiety, computer self-efficacy and internet experience in influencing the students’ intention to use e-learning: A case study from Saudi Arabian governmental universities. Turkish Online Journal of Educational Technology,9(4),22-34. Almarabeh, T., Majdalawi, Y. K., and Mohammad, H. (2016). Internet Usage, Challenges, and Attitudes among University Students: Case Study of the University of Jordan. Journal of Software Engineering and Applications, 9(12), 577. Alshammari, N. (2014) The Use of Technology in Education to Improve Student’s Reading Skills in Elementary Schools, Saudi Arabia. International Journal of Business and Social Science, 5, 69. Al-Zaidiyeen, N. J., Mei, L. L., and Fook, F. S. (2010). Teachers’ Attitudes and Levels of Technology Use in Classrooms: The Case of Jordan Schools. International Education Studies, 3(2), 211. Amara, N. B., and Atia, L. (2016). E-TRAINING AND ITS ROLE IN HUMAN RESOURCES DEVELOPMENT. 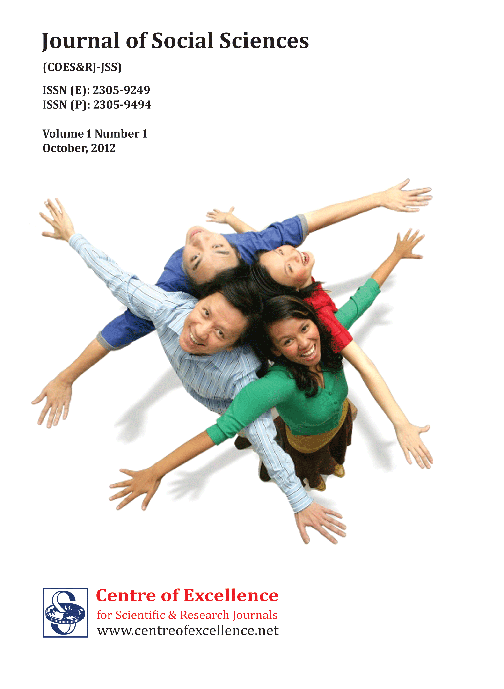 Global Journal of Human Resource Management, 4(1), 1-12. Bandura, A. (2005). The primacy of self-regulation in health promotion. Applied Psychology: An International Review, 54(2), 245-254. Baskerville, R.L. and Myers, M.D. (2002). Information systems as a reference discipline. MIS Quarterly, 26(1), 1–14. doi: 10.2307/4132338. Chang, L., Mak, M. C., Li, T., Wu, B. P., Chen, B. B., & Lu, H. J. (2011). Cultural adaptations to environmental variability: An evolutionary account of East–West differences. Educational Psychology Review, 23(1), 99-129. Cheng, Y.-M. (2011). Antecedents and consequences of e-learning acceptance. Information Systems Journal, 21(3), 269–299. Cheung, R., & Vogel, D. (2013). Predicting user acceptance of collaborative technologies: An extension of the technology acceptance model for e-learning. Computers & Education, 63, 160-175. Compeau, D. R., Higgins C. A., (1995). Computer Self-efficacy: Development of a Measure and Initial Test. MIS Quarterly, vol. 19, no.2, 1995, pp. 189-211. Dae-sik, K., & Jeong-kyoum, K. (2013). Structural relationship among affective characteristics, cognitive characteristics, students' participation, and course-retaking intention in e-learning environment. International Journal of Smart Home, 7(6), 49-57. Davis, F. (1989). Perceived usefulness, perceived ease of use, and user acceptance of information technology. MIS quarterly, 13(3), 319-340. doi: 10.2307/249008. Davis, F. (1993). User acceptance of information technology: system characteristics, user perceptions and behavioral impacts. International journal of man-machine studies, 38(3), 475-487. doi: 10.1006/imms.1993.1022. Demeke, W., Olden, A., and Nocera, J. A. (2016). Factors Affecting the Adoption of Information and Communication Technologies: Small Hotels and Tour Operators in Addis Ababa, Ethiopia. Libri, 66(2), 151-165. Duan, Y., He, Q., Feng, W., Li, D., Fu, Z. (2010). A study on e-learning take-up intention from an innovation adoption perspective: A case in China. Computers & Education, 55, 237–246. Dutta, S. and Mia, I. (Eds.) (2011). Global Information Technology Report 2010-2011: Transformations 2.0. Basingstoke: Palgrave Macmillan. Retrieved April 17, 2015 from, http://reports.weforum.org/global-information-technology- report/content/pdf/wef-gitr-2010-2011.pdf. Erwin, P. (2001). Attitudes and Persuasion. Hove, East Sussex: psychology press. Gasaymeh, A. (2009). A study of faculty attitudes toward internet-based distance education: A survey of two Jordanian public universities. PhD Thesis, the College of Education, Ohio University, Ohio, USA. Goodman, S., and Green, J. (1992). Computing in the Middle East. Communications of the ACM, 35(8), 21-25. doi: 10.1145/135226.135236. Hsieh, L.-Y., Lu, Y.-J., and Lee, Y.-H. (2014). Using the technology acceptance model to explore the behavioral intentions toward blended learning. In D.
Liberona and L. Uden (Eds. ), Learning technology for education in cloud.MOOC and big data (pp. 195–203). Springer. Information Technology Association-Intaj. (2010). Jordan’s Information Society. Accessed July 23, 2010. Retrieved from, http://www.intaj.net (2016). Jenkins, M. & Hanson, J. (2003). E-learning series: A guide for senior managers, Learning and Teaching Support Network (LSTN) Generic Centre, United Kingdom. Kautz, K., and by Larsen, E. (2000). Diffusion theory and practice. Information Technology and People, 13(1), 11-26. doi: 10.1108/09593840010312726. Khasawneh, M. (2015). Factors Influence e-Learning Utilization in Jordanian Universities-Academic Staff Perspectives. Procedia-Social and Behavioral Sciences, 210, 170-180. Khasawneh, M, (2016). EVALUATION AND ASSESSMENT OF USING E-LEARNING IN JORDANIAN UNIVERSITIES, MANAGERIAL PERSPECTIVE. Paper presented at the Proceedings of the ICERI2016 (9th annual International Conference of Education, Research and Innovation). Seville, Spain (14 – 16 NOV, 2016). Khasawneh, M, and Ibrahim, H. (2012). A Model for Adoption of ICT in Jordanian Higher Education Institutions: An Empirical Study. Journal of e-Learning and Higher Education. IBIMA Publishing. http://www.ibimapublishing.com/journals/JELHE/jelhe.html. Vol. 2012, Article ID 877178, 10 page, DOI: 10.5171/2012.877178. Lam T., Cho V., and. Qu H. L. (2007), ‘A study of hotel employee behavioral intentions toward adoption of information technology, International Journal of Hospitality Management, vol. 26, no. 1, pp. 49–65. Lee, Y. H., Hsieh, Y. C., & Hsu, C. N. (2011). Adding innovation diffusion theory to the technology acceptance model: Supporting employees' intentions to use e-learning Systems. Journal of Educational Technology & Society, 14(4), 124-137. Lee, P. C., and Mao, Z. (2016). The relation among self-efficacy, learning approaches, and academic performance: an exploratory study. Journal of Teaching in Travel & Tourism, 16(3), 178-194. Liaw, S. S., and Huang, H. M. (2013). Perceived satisfaction, perceived usefulness and interactive learning environments as predictors to self-regulation in e-learning environments. Computers and Education, 60(1), 14-24. Lu, H.K., and Lin, P.C.(2012). Toward an extended behavioral intention model for e-learning: Using learning and teaching styles as individual differences. 2012 Consumer Electronics, Communications and Networks (CECNet) International Conference ,3673 – 3676. Luftman, J., Bullen, C., Liao, D., Nash, E., and Neumann, C. (2004). Managing the information technology resource: Pearson Education. Macharia, J., and Nyakwende, E. (2010). Vice-Chancellors Influence on Academic Staff Intentions to Use Learning Management Systems (LMS) For Teaching and Learning. Journal of Language, Technology and Entrepreneurship in Africa, 2(1), 220-230. Ministry of Higher Education and Scientific Research (MOHESR). (2016). Retrieved from, www.mohe.gov.jo, 25 Aug, 2016. Ntemana, T. J., & Olatokun, W. (2012). Analyzing the influence of diffudion ofinnovation attributes on lecturers' attitudes toward inoformation and communication technologies. Human Technology, 8(2), 179- 197. Olatokun, W. M., & Igbinedion, L. J. (2009). The Adoption of Automatic Teller Machines in Nigeria: An Application of the Theory of Diffusion of Innovation. Issues in Informing Science and Information Technology, 6. Othman, M. F. I. (2016). Barriers to the adoption of formal IT governance practice: A Malaysian case (Doctoral dissertation, Queensland University of Technology). Park, N., Lee, K. M., and Cheong, P. H. (2008). University instructors’ acceptance of electronic courseware: An application of the technology acceptance model. Journal of Computer Mediated Communication, 13(1), 163-186. doi: 10.1111/j.1083-6101.2007.00391.x. Park, S. Y. (2009). An Analysis of the Technology Acceptance Model in Understanding University Students' Behavioral Intention to Use e-Learning. Educational Technology and Society, 12(3), 150–162, http://dx.doi.org/10.1007/s00340-009-3513-0. Qteishat, M., Alshibly, H., and Al-Ma’aitah, M. (2013). Factors Influencing the Adoption of E-Learning in Jordan: an Extended TAM Model. European Journal of Business and Management, 5(18), 84-100. Qudais, M. A., Al-Adhaileh, M., and Al-Omari, A. (2010). Senior Faculty Members' Attitudes in Jordanian Universities towards Using Information and Communication Technology. International Arab Journal of e-Technology, 1(4), 135-141. Ramirez, F. O., Byrkjeflot, H., and Pinheiro, R. (2016). Higher education and health organizational fields in the age of “world class” and “best practices”. In Towards A Comparative Institutionalism: Forms, Dynamics and Logics Across The Organizational Fields of Health Care and Higher Education(p.35-57).Emerald Group Publishing Limited. Rogers, E. (1983). Diffusion of innovations. New York: Free Press. Rogers, E. (1995). Diffusion of innovations (4 ed.). New York: Free Press. Rogers, E., and Shoemaker, F. (1971). Communication of innovations: Across Cultural Approach (2 ed. ): Free Press New York. Sawang, S., Newton, C., & Jamieson, K. (2013). Increasing learners’ satisfaction/intention to adopt more e-learning. Education+ Training, 55(1), 83-105. Schneberger, S. Amoroso, D.L. and Durfee, A. (2008). Factors that influence the performance of computer-based assessments: an extension of the Technology Acceptance Model. Journal of Computer Information Systems, 48(2), p.74. Sekaran, U. (2003). Research methodology for business: New York: John Wiley and Sons, Inc.
Sharma U., and Jacobs K. (2016), “Predicting in-service educators' intentions to teach in inclusive classrooms in India and Australia,” in Teaching and Teacher Education, vol. 55, April, pp.13-23. Shiau, W. L., and Chau, P. Y. (2016). Understanding behavioral intention to use a cloud computing classroom: A multiple model comparison approach. Information and Management, 53(3), 355-365. Singh, J. D. (2015). Higher Education in India–Issues, Challenges and Suggestions. CTE,(nd). Songkram, N., Khlaisang, J., Puthaseranee, B., and Likhitdamrongkiat, M. (2015). E-Learning System to Enhance Cognitive Skills for Learners In Higher Education. Procedia Social and Behavioral Sciences, 174, 667-673. http://dx.doi.org/10.1016/j.sbspro.2015.01.599. Sooknanan, P. (2002). Attitudes and perceptions of teachers toward computers: the implication of an educational innovation in Trinidad and Tobago. Doctoral thesis, Bowling Green University, ProQuest Digital Dissertations. Swaim, J. A., Maloni, M. J., Napshin, S. A., and Henley, A. B. (2014). Influences on student intention and behavior toward environmental sustainability. Journal of Business Ethics, 124(3), 465-484. Talukder D. M. (2014), Managing Innovation Adoption: From Innovation to Implementation. Ashgate Publishing, Ltd.
Tarhini, A., Hone, K., Liu, X., and Tarhini, T. (2016). Examining the moderating effect of individual-level cultural values on users’ acceptance of E-learning in developing countries: a structural equation modeling of an extended technology acceptance model. Interactive Learning Environments, 1-23. Taylor, S., and Todd, P. A. (1995). Understanding information technology usage: A test of competing models. Information Systems Research, 6(2), 144–176. Tran, N. (2013). Evaluation in Distance Education and E-Learning: The Unfolding Model. Journal of Educational Administration, 51(1), 100-102. http://dx.doi.org/10.1108/09578231311291486. Truskolaska, J., Luka, M., Toruj, N., Wrona, K., and Smagowska, P. (2015). E-Learning at the Polish University in the Opinion of Students. Procedia Social and Behavioral Sciences, 174, 3494-3499. http://dx.doi.org/10.1016/j.sbspro.2015.01.1063. Tselios, N. K., Daskalakis, S., and Papadopoulou, M. (2011). Assessing the acceptance of a blended learning university course. Educational Technology & Society, 14(2), 224–235. Valsamidis, S., Kazanidis, I., Petasakis, I., Kontogiannis, S., and Kolokitha, E. (2014). E-Learning Activity Analysis. Procidia Economics and Finance, 9, 511-518. http://dx.doi.org/10.1016/S2212-5671(14)00052-5. Venkatesh, V., & Davis, F.D. (2000). “A theoretical extension of the technology acceptance model: four longitudinal field studies. Management Science, 46(2), 186-204. Walker, R., and Johnson, L. (2005). Towards understanding attitudes of consumers who use internet banking services. Journal of Financial Services Marketing, 10(1), 84-94. doi: 10.1057/palgrave.fsm.4770175. KHASAWNEH, Mohammad. Promoting the Higher Education Excellence in Jordan: Factors Influencing Learner Attitude toward E-Learning Environment Based on the Integrated Platform. Journal of Social Sciences (COES&RJ-JSS), [S.l. ], v. 6, p. 139-155, jan. 2017. ISSN 2305-9249. Available at: <http://centreofexcellence.net/index.php/JSS/article/view/jss.2017.6.1.139.155>. Date accessed: 24 apr. 2019. doi: https://doi.org/10.25255/jss.2017.6.1.139.155.